I hope you have enjoyed the well-earned rest! Word is, you’re recently engaged — congrats! What a way to top off a stellar year. I hope your fiancee won’t mind if I take a minute to offer my own expression of love! First, let me say it was a pleasure getting to know you this year. Yes, we saw you a bit last year, but until a certain mid-season trade, we only saw limited glimpses. This year, we saw Jon Jay the starter and, thanks to Twitter, Jon Jay the shoe fanatic (which I fully support, by the way!). Much was made of the trade that gave you the starting center fielder title. All I will say is, you earned it. Hard work paid off. You won the job, and the respect of the coaching staff. Two hand catches. Thank you, Jon! When I watched from the outfield bleachers at Busch in late August (just days before the miraculous comeback began), you erased any doubts I may have had. You caught the ball with two hands. You ran to make plays. You talked to your fellow outfielders. Just a week or so later, things started to get really exciting. In that now-famous Aug. 25 game, you did your part with a single, a double and a run scored on a Matt Holliday home run. If September’s swing was fun for me, I can only imagine what it was like for you. In the Sept. 6 game, you went 2-for-3 with two runs scored and two RBI, including this little beauty that gave the Redbirds a 2-0 lead in the third inning over the Brewers. Of course, the magic continued. From Philly to Milwaukee, to Arlington … but at last, back to Busch. I still can’t think of it all without feeling chill bumps up my arms. Sure, maybe your near-.300 regular season average dipped a bit in the postseason, but there were plenty of defensive moments that ripped me off my couch to applaud. Like this NLDS Game Four ending grab. Or this heads-up double play in Game Three against the Brew Crew. And then there are the Top-Play nominees at the track … at the wall … Jon Jay makes the play! Your part in the comeback of all comebacks in Game Six won’t be forgotten either. Lance Berkman may have said it best when he said this title wouldn’t have been won without the contributions from every single player — every single hit. You were part of that. You will be presented a World Series Championship ring. And you will always be a part of Cardinals history. In a season that could have gone bad fast, you stepped up, like so many did, and simply determined not to lose. And while you may not have had time to rewatch the games just yet, I hope that when you do, you get as much joy out of it as I do! You (along with the other two amigos, Dan Descalso and David Freese) are fantastic representatives of the Cardinals in the land of social media. Although, I think it’s high time Allen Craig joins his own pet tortoise on Twitter. Mind working on that for us? Positivity, poise and passion. And, a great understanding of what it means to be a Cardinal. Your recent “twinterview” with @memphisredbirds gave us even further insight to just who you are, and my admiration only grew. Your respect for the game — and for the organization — makes it easy to fall for you. What can I say? I love how much you love this team, because I do too! There are just over 68 days until pitchers and catchers report to Spring Training. I know your goal is already to get #12 in ’12, and I can’t wait to see what you boys do along the way. 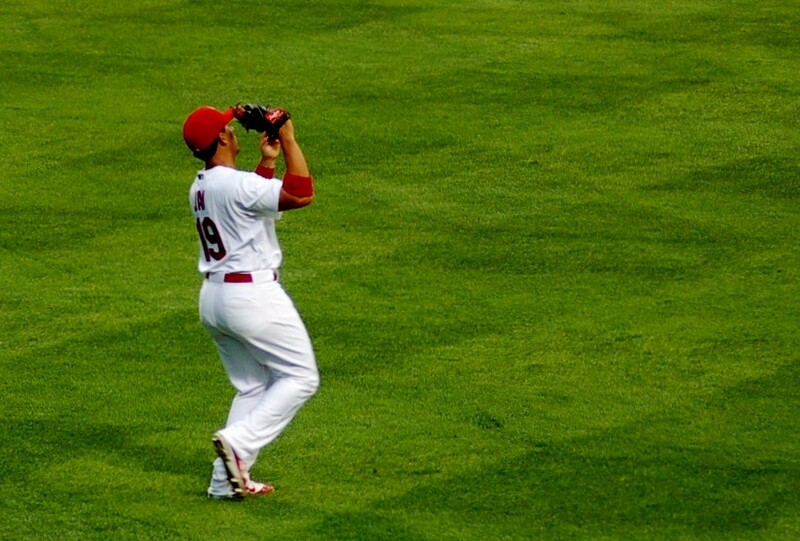 Thank you, Jon Jay, for making me proud to call you a Cardinal! Yay for “secret societies” on Twitter. Ha!